Marysia and Ian zipped off to Poland last month, leaving 27 May after a quick visit to Long Island first. 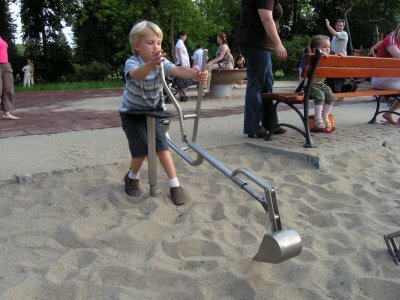 They’ve spent a week in Kraków, but now are off to the Bieszczady mountains for several weeks — first in the farming/holiday village of Zawóz and, starting on Tuesday, in Lesko. Marysia sent these first pics. 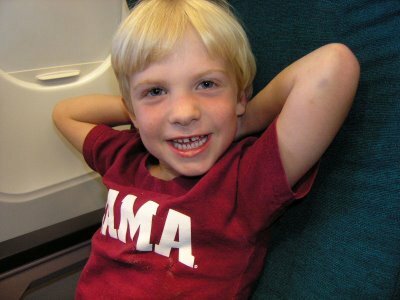 On the plane, seemingly having a great time, and wearing his Alabama colors. 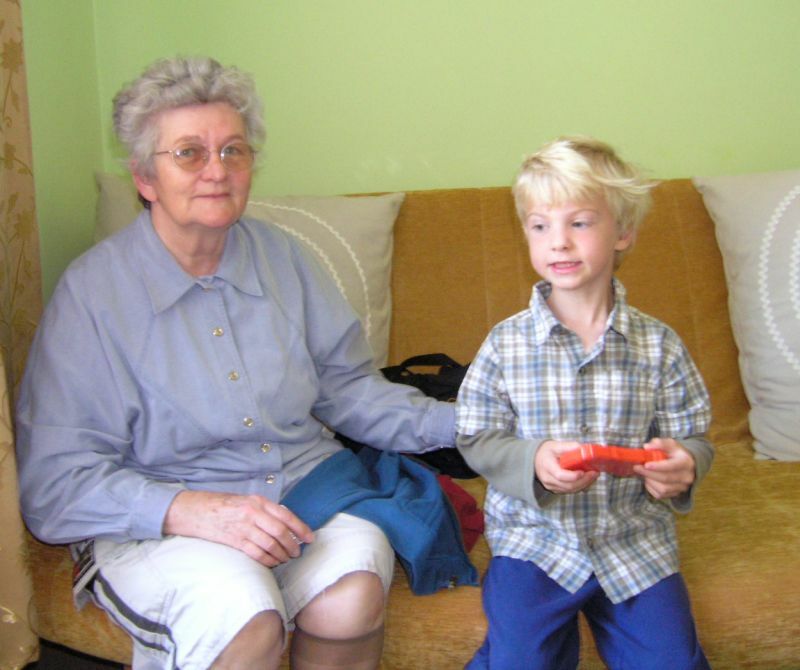 With Babcia Wala, Ian’s babysitter when he first visited (age 1.5). They had a great reunion! 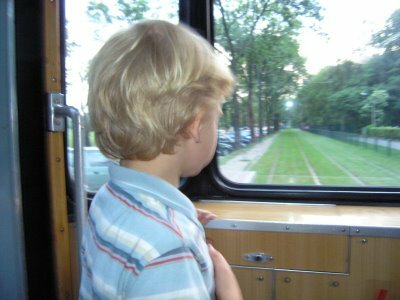 No surprise: Ian loves riding the Kraków tram! Ian and I had a more restless night last night. I stayed up past the point when I felt tired, finally got into bed at 12:30, but couldn’t fall asleep. By 1 AM, Ian had waken up and couldn’t fall back asleep until 2:30. He called out to me, “Mommy, I don’t feel good. I can’t fall asleep properly.” He’s been sleeping in his own bed—the bedroom has two smaller-than-twin beds and he wanted one to himself–he said he wouldn’t fall out of bed. It’s low to the ground, so I just set up some pillows on the floor. The first night he rolled out just once so I picked him up and put him back in. Last night, when he couldn’t sleep, I moved the two beds together so I could be with him, which he wanted when he couldn’t sleep. Eventually, we both drifted off. I expect this will be the worst of it.